What does Armenian economy lose while Karabakh conflict lasts? A complete settlement of the Armenia-Azerbaijan Nagorno-Karabakh conflict would bring benefits to Armenia in many aspects, including public finances, trade, energy and water management, as well as financial markets, Trend reports citing a study conducted by independent economic policy consulting firm Berlin Economics. Military expenditures could be reduced by 2 percent of annual GDP in the country to a level comparable with other countries at peace, according to the study. In addition, Armenia could save annual expenditures of 0.9 percent of GDP for supporting the local economy in Nagorno-Karabakh and 0.1 percent of GDP in interest payments, thus saving 3 percent of GDP every year, the consulting firm believes. Such large fiscal savings would enable the country to sharply reduce budget deficits and at the same time substantially increase spending in socially useful areas such as education or health by eliminating present budgetary pressures, according to the study. Very substantial “benefits of peace” could in the long run also be gained in the domain of the energy and water sectors, said Berlin Economics. “This would mainly benefit Armenia, deferring the need for investment into expensive new power plants as the country could import electricity during the dry season,” said the study. Capital flows to Armenia constrained at present to a large extent due to elevated country risk as a consequence of the ongoing conflict, according to Berlin Economics. 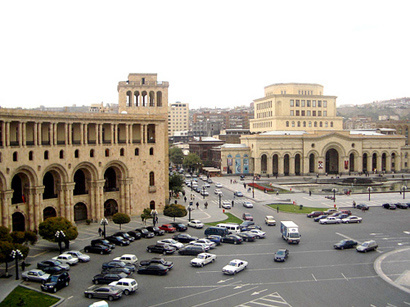 The consulting firm believes that Armenia’s ratings would probably improve by one notch. Increases in the inward FDI stocks due to reduced country risk could significantly and permanently elevate the level of GDP by 3.4 percent to 6 percent of GDP in Armenia, according to the study.